Seriously, where have you BEEN?? No one drinks their coffee hot anymore. That’s so 2012. Also, it’s the summer. Keep up. Iced coffee though? I’m a big fan. I even make my own sometimes, although it’s a bit of a faff setting up the coffee machine and my homemade ice cubes always taste a little bit of fish fingers. Much better to have an expert make it for you and package it up in a handy, well designed carton. This is their hot off the press new family. Pretty sassy yes? I’ve been a fan of Jimmy’s Iced Coffee for a couple of years now, so I was more than happy to share my thoughts on why iced coffee is way better than hot. You know how when your kids are small and you make a hot drink and then you get distracted by having to do washing/change nappies/watch an improvised puppet show about hedgehogs on a day out at a theme park? And then an hour later you find your coffee abandoned in the cupboard under the sink where you were meant to put away the washing liquid and it’s tepid and gross? Not any more! Iced coffee is meant to be cold so you can drink it any damn time you like. I don’t remember much from when my kids were little, but I do remember being instilled with an absolute terror of having hot drinks within about a two mile radius of my precious bundle of joy. I get it obviously, burns are a bad thing, but also I was IN SOLE CHARGE OF ANOTHER HUMAN BEING’S LIFE. No one seemed to be worrying too much about that bit? 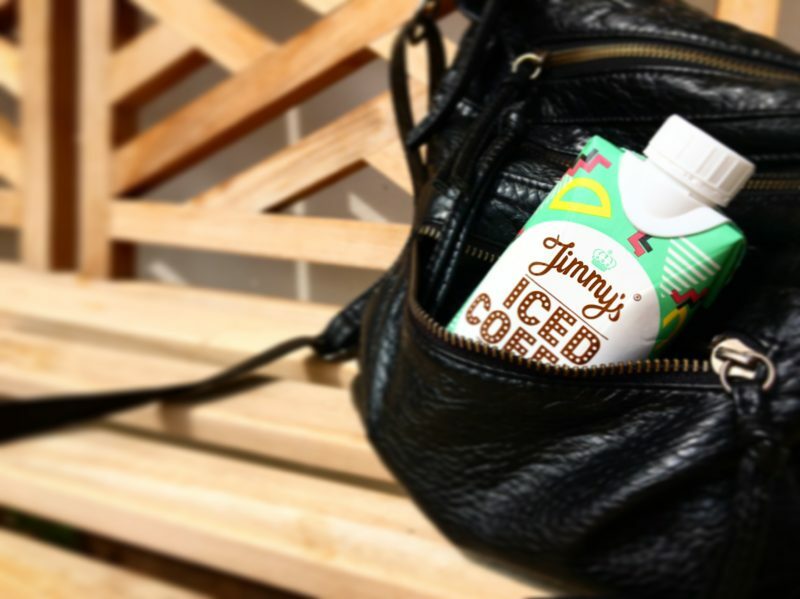 Jimmy’s Iced Coffee comes with a lid, so no spills. And even if you forget the lid and a toddler pours it on their head the worse that happens is that they are going to need a bit of a wipe down with your sleeve. I’ve had many a Jimmy’s Iced Coffee as part of a high street meal deal. So that’s basically the same price as going into a cafe for a hot coffee but you also get an entire sandwich and delicious fruit bag. I don’t know if you’ve ever tried to put a mug of hot coffee into your handbag to take on the school run but I suspect it doesn’t really work terribly well. I have been known to take a half drunk cup of coffee in a mug in the car with me and can confirm that it is far from ideal. Mugs don’t fit in the cup holders, so you have to sort of clutch it awkwardly between your thighs. 2/10 would not recommend. I mean, who would do that? Definitely not me. 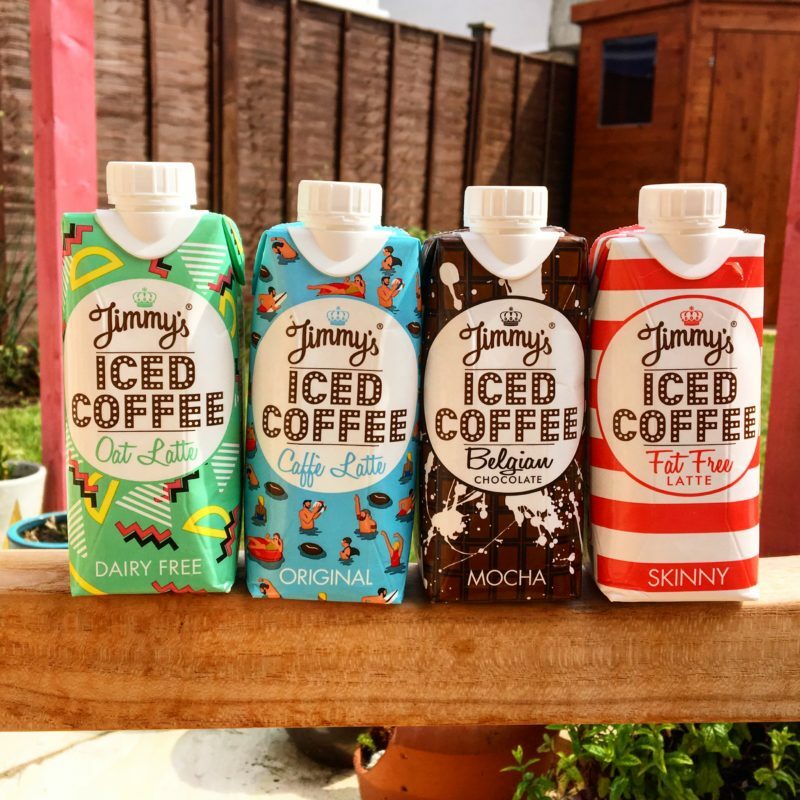 Also, Jimmy’s iced coffee comes in a carton, so less chance of sploshing anyway. Yeah yeah, hot coffee can do that too, but you barely need to be awake in the first place to grab an iced coffee from the fridge. No risk of burning yourself in your exhaustion induced state. Health and safety and all that. Iced coffee is somehow so much more decadent, like you’re six years old and getting a milkshake. Especially if you have a Jimmy’s Belgian chocolate mocha. Are you an iced coffee convert? Find out more about Jimmy’s here. I love iced coffee! Especially during summer, it is so delightful! I love iced coffee and it’s perfect for this time of year. I usually buy Tescos own but I think I might give these a try. 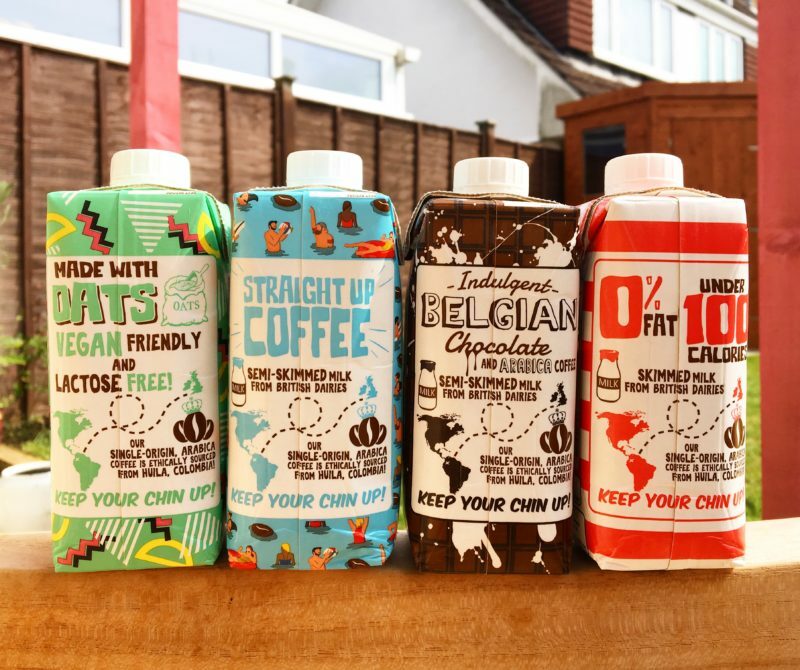 I quite fancy the Mocha one. I absolute LOVE iced coffee. My brother in law introduced me to it a couple of years ago, he makes his own. Before that I thought you could only get it in coffee shops (I know, it’s ridiculous I’m 46 years old and I didn’t know that you can make your own iced coffee!!) but I have actually tried this brand (Jimmy’s) and they are delicious. The Mocha one sounds very tempting.